At MTC.com, we have created detailed, in-depth, reviews of the best international money transfer companies on the market. We helped thousands discover the top money transfer services for their needs, and move their money overseas safely, promptly and for cheap. Begin your currency transfer journey with Money Transfer Comparison now. – Read Review 92.8% Medium to Large Transfers (Private and Corporate Clients) One of the oldest and most respectable currency companies in the UK. Known for providing outstandingly professional service. Holds an offshore banking license alongside its FCA authorisation. – Read Review 90.6% Medium to Large Transfers (Private and Corporate Clients) Professional and Friendly. Highest Average Transaction Volume by Private Clients. Merger of two leading money transfer firms: FC Exchange and Global Reach Partners, covering the fully array of both corporate and private. Our aim is to review all the prominent money transfer companies in a detailed manner, and help our readers make up their own mind on which is the best international money transfer service to use. In order to facilitate that, we have devoted days and nights to review and compare 38 of the leading money transfers (by popularity and market share). We keep our money transfer comparison up to date, and make a conscious effort to improve it, one day at a time. We do not offer real time currency exchange rate comparison, nor promise you to save any specific £ figure or percentage on your transactions, simply because we found these methods that some of our competitors are using inaccurate. We do not want to commit to any specific rate or saving in vain as it is all individual and highly dependent on the circumstances surronding the transfer (volume, timing and currency corridors). We promise you that in spite of us partnering up with some of the companies reviewed on this website (only companies hitting a score of 85% or better), we are 100% committed to providing truthful and accurate information. What Do Our Readers Think About Us? Intamarque is one of the UK’s fastest growing distributors’ of FMCG lines with sales growing from zero to £35m in just 10 years. We were awarded the Fast Track 100 award which identifies Britain’s private companies with the fastest-growing sales. We’ve been successful because we offer retailers, wholesalers and pharmacies a unique combination of extremely competitive pricing, outstanding flexibility and a high level of personal service and attention. We are located in the UK centrally on the M5 corridor between Birmingham and Bristol. We recently had the pleasure of using the service of MoneyTransferComparison.com who helped us secure a successful outcome of an order which was challenged due to the economic climate at the time. The professionalism and attention to detail from MoneyTransferComparison.com was amazing and Intamarque would thoroughly recommend them to anyone needing to use this service. We have covered more than 30 currency transfer companies to date. Our aim is to provide our readers with the absolute best money transfer providers, and we strictly follow these guidelines in order to fulfil that critical task. Service: how quick and automated is the sign up process, how readily available is the staff and most importantly how courteous and helpful it is. Reputation: how long is the company’s track record, how well known is it, what kind of FX volumes is it moving, and what do clients think about it. Fees and Rates: what are the fees (if any, our recommended money transfer companies don’t charge any), and how good are the FX rates offered for both smaller and larger deals. Features: does the money transfer service being reviewed offers unique functionality like online money transfer platform, mobile app Forward Contracts, corporate FX hedging, or regulator payment options. Reach: how many currencies can the money transfer company handle, how many local offices and banking accounts do they have across the globe, and how experienced are they in this area. What’s the difference between a great money transfer company and a bad money transfer service? – Your time-wasting will be minimised upon signing-up. – Well regulated and your money is protected even if the company goes into bankruptcy. – You always know exactly how much you’ll be paying and how much you’ll be getting back in FX. – You will have knowledgeable staff available to assist with all aspects of your transfer. – You will be treated respectfully and won’t be pushed around by the salesperson. – You could choose whether to perform the trade via telephone or online. – Unnecessarily long sign up process without the ability to upload any documents online. – Lack of regulation makes it very difficult to claim back your money if it’s somehow lost. – The fees and exchange rates will always be opaque (or, alas, you will get less money than you were promised). – You will not have a dedicated foreign exchange dealer assisting you with anything. – A pushy salesman will try to persuade you to make a transaction as soon as possible so he can get his commission. – You would only be able to conduct your trade via telephone or fax like the early 1990’s. Disclosure: We receive compensation from the companies with whom we work, like other respectable websites in our industry (Money Supermarket and Money Saving Expert to name two, but this is also true for every site in the industry). That means that for each client referred to them, we get some sort of a reward fee. Does That Cloud Our Judgement? That’s for you to judge. We encourage you to read through the 2,000-word reviews on more than 30 money transfer companies on this website, and then establish your own opinion about our degree of knowledge and integrity. It is important to note that we work with 10 different partners that we have carefully selected. We have had several other partnerships that we stopped because we thought the service was inept, and we are happy to help clients mediate disputes with FX companies. This is how commercial currency companies such as the ones reviewed on our website will help you save money in comparison with banks. Don’t take our word for it – though. Ask for a foreign currency transfer quote from your bank, and check that indeed, the saving is immense. High street banks charge high fees for international wire transfers, and sometimes, they would even charge commissions on top of that. The providers that we recommend charge neither fees nor commissions. Bank fees on international transfers can reach up to £25 in the UK, €30 in Europe, and $50 in the USA, Canada or Australia. Want to check the markups you paid on a past transfer or analyse an existing quote? View our International Money Transfer Fee Calculator. As a rule of thumb, the money exchange itself should be a lot cheaper with our top rated companies over banks. The larger the transfer, the higher the savings, as you’ll get cheaper quotes. To ensure maximal saving, compare quotes from a few featured companies and negotiate the pricing. Each client is assigned to a unique foreign exchange specialist in order to create a bespoke plan that will optimise savings, leveraging an array of technological tools embedded inside their online platform. The international money routes are planned in order to avoid unnecessary bank fees (such as recipient bank fees). Clients don’t have to make uneducated choices about the right timing of exchanging currencies. Instead, a dedicated FX staff member will guide each client and aid him in making his international bank transfer when the timing is right, allowing clients to get the most bang for their buck (or Sterling). USD struggled for direction much of the time, but did secure a limited net advance as other majors were unable to find sustained support. EUR revered tentative gains late in the week after another batch of poor business confidence data undermined confidence in the outlook. GBP drifted lower as buying interest faded despite solid data with underlying political uncertainty still unresolved. CHF and JPY were undermined by increased confidence in the global growth outlook as demand for defensive assets faded. USD is again likely to be held in relatively narrow ranges with investors still tempted to buy on any dips given weakness elsewhere. EUR is unlikely to make much headway given on-going investor concerns over the fragile growth outlook. GBP volatility is liable to increase later in the week with traders needing convincing evidence of a political breakthrough to push Sterling higher. CHF and JPY are likely to remain weaker, but there is an important risk of complacency and dangers in aggressive selling. Here is a simplified table demonstrating the differences between a top-notch commercial firm and a bank. To view a full fx companies vs banks comparison piece follow the link. Service Dedicated, certified, fx dealer. A banker with no particular knowledge in fx. Fees Usually, no outbound or inbound wire fees. Up to £25 / €30/ $50 per transfer. Security of Funds Client accounts are segregated for any company approved by the FCA as an authorised payment provider. Protected by the PRA up to GBP 75,000. Other protective measurements are in place outside the UK. Rates Wholesale. Anywhere between 0.3% and 2.5% spread depending on volumes and currencies. Sub-par. Up to 5% margins on exotic currencies, and up to 3% on standard pairings. Speed Most destinations within 24h. By default, transfers can take up to 3 days. You need to pay a premium to get a quicker delivery. FX Options Readily available for all clients. Only for high net worth individuals or large corporate clients. Nationalities Accepted Clients from UK, Australia, Canada, New Zealand, or the EU are always accepted. Larger companies will accept USA clients, South African clients, UAE clients, and others. All clients have access to all foreign currencies. Each domestic bank accepts clients from its destination locale. Few banks like HSBC will allow clients to interlink international accounts. We have teamed up with some of the top 10 largest money transfer firms, based on our rating, to provide some unique offerings to our readers. View the slider below and discover some of our hottest deals. Please contact us if any of the firms fail to stand up to their word. We will do whatever we can to help out and get you the result you want. Moneycorp, a world leader in international payments, one of the top 10 money transfer companies list in the world, offers free online and telephone transfers (fixed fees will be waived), only if you sign through us! Global Reach Partners, one of the top 10 currency companies in the UK, offers online and telephone transfers with no fixed fees, exclusively via this link! Currency Index offers a fee-free international currency transfer, in addition to a free receipt, exclusively for our readers. This freebie is valued at £12-£17. Currency Index offers fixed margins of %0.495 for all overseas transfers above £50,000. That includes all currency pairs. Currency Index accepts clients from the UK, Europe, and Australia. CurrencyFair, one of the hottest money transfer startups in the world today, offers an exclusive deal for MoneyTransferComaprison.com readers – a first FREE transfer. Individuals needing to transfer money internationally to a bank account abroad, usually for an asset located abroad. Money is paid either instantly, through a single transfer, or in instalments. These individuals require high levels of safety and trust, as well as solid guidance on how to hedge future payments. The larger the transfer, the better the money exchange rates that the property buyer should expect. SME’s that either import/export goods, receive payments in foreign currency, or pay salaries to employees abroad. Business owners and money managers look for nothing but top-notch companies. These are the largest organizations that have been in business the longest, are highly regulated, and possess the highest liquidity, which will allow them to provide the best currency transfer rates. It is estimated that there are over 50,000,000 expats worldwide, all of whom need to internationally transfer salaries or pensions, and make small or large payments, on a regular basis. The company that these expats will choose must have a wide global reach, an easy sign-up process, and intuitive online platforms. These traits can make the expat life so much easier! It is estimated there are over a billion travelers every year. They need to exchange cash. Exchange beauruex provide horrible rates, so they seek an alternative. What these individuals are looking for is pretty simple: save on expenses. The process must be easy, quick and secure. They sign up, load funds from their debit or credit card, and a receive cash delivery. With over 230m working immigrants worldwide, remittances impose a large effect on world economy (read more about the world remittance market here). Working immigrants need remittances services that have high global reach, and do either bank-to-bank or bank–to-cash transfers with minimal fixed fees, and best currency exchange rates on the market. There are 123 mobile phones for every 100 UK citizens, which says everything. People are accustomed to perform all their daily tasks through their mobile devices, and international money transfers should be no different. Techies expect a smooth mobile experience, by a native app that enables users to set a market watch alert on certain currency pairs and transfer promptly. MoneyTransferComparison’s aim goes above and beyond helping customers finding the most adequate and best-tailored money transfer service to match their needs. That is indeed our main objective, but we strive to also guide people on how how the process works. This is why we have created an extensive learning centre, authored by experts in the field and written in a objective, and sometimes even critical manner. Without further ado, we would like to present our Learning Centre with more than 20 articles on the process of international money transfers which will help you understand how things work behind the curtain! We have written an extensive guide for expats, immigrants and small business owner in a variety of topics that go beyond the scope of money transfers. We pride ourselves in thorough, fully detailed reviews and top-of-the-line currency exchange comparison. We devote a lot of time and resources into reviewing each individual provider that we deem worthy of reviewing. Unlike some of our competitors, we are not owned by a multi-million dollar company. Unlike our competitors, our aim is not to simply compare foreign exchange rates between different sites and recommend whoever offers the cheapest price or the lowest fees. That’s a part of what we do, but it’s not our main goal. We believe that international payment companies should provide safety and security, above all. This is why we are so focused on elements besides pricing. It’s a part of the overall rating that we provide each company, but it’s not everything. We do not treat the companies we review as “sites“; instead, we try to conduct our appropriate due diligence, just as we would do before engaging with any global business partner. We look at the regulatory status of each company – Is it only registered with the FCA or is it authorised as a payment institution? Is it supervised by additional regulatory authorities across the globe? Has it been accused of fraud? How long has the company been running for? How many clients does it serve? Where are its offices? What kind of volumes does it trade? Who owns it and who runs it? Does it have worldwide offices? Where are they? We browse hundreds or thousands of individual reviews for each company, and see what clients think of it, and whether they would recommend them. We also look at money transfer sites from the technical perspective – we only recommend those that have mobile-friendly designs, functional platforms and are appropriate for mobile devices (or have appropriate mobile apps). We prefer companies that seek to create a personal interaction with you. Such companies assign one dedicated point-of-contact to help you with your trades. This is definitely a way for clients to feel more secure – being able to reach your dedicated fx dealer at any time. 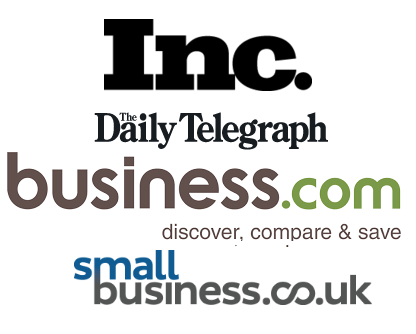 Our business relationship (as referral partners) with some of the companies reviewed on this website can help us separate the whiff from the chaff. We are able to visit them in their offices, speak directly to the people who work there and assume their level of professionalism and integrity, enabling us to learn the financial standing of the company. We believe what we see with our own eyes; and thus, we have met with 6 of the fx companies that have received the highest scores in our testing. Even the best money transfer services in the world sometimes receive complaints. That’s only natural and we would be suspicious if none came up for companies providing their fx services to hundreds of thousands of clients. The important thing is how they handle complaints. Are they open with the client when they have mistreated them? Do they take any inquiry seriously and spend time searching for complaints online and responding to them? Are they sharing case resolutions that we have referred to them with us? Do they bother to respond to complaints or comments left on MoneyTransferComparison.com’s reviews? Are they able to handle fx cases we had decided to research? Note: Our site can be used by people from most countries around the globe. The majority of our clients are UK expats, property buyers and small businesses, but the companies we review, and our recommendations, are applicable for a lot more people from almost every location in the world. We boast a significant amount of readership from EU countries, predominantly Spain, Germany, France and Italy, as well as North American readership in the USA and Canada. We are also vast popular down under in Australia and New Zealand, and in a variety of other countries across Asia, Europe and Africa. Transferring money internationally from Switzerland, Singapore, Hong Kong, South Africa, Sweden, Norway, UAE, Qatar and more than 100 additional companies is made easy with Money Transfer Comparison. With MoneyTransferComparison.com becoming the leading site for international money transfer information since its establishment in 2014, we consider this a good time to thank our loyal readers. 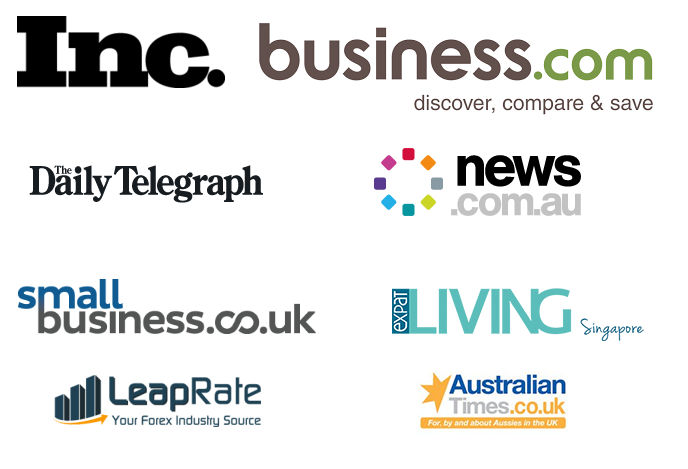 Ever since our launch, we have attracted readers who are keen to engage. There are more than 1,000 comments that people left us over the years, more than 100,000 clicks on recommended company quotes, and more than £300,000,000 transferred through our partners following our referral. We are absolutely stunned by the amount of love and respect we have earned in several different industries in multiple locales. MoneyTransferComparison.com has been rapidly recognised as an authority in the international money transfer industry. Below are our New Years’ resolutions and aims for 2019, namely to give you, the readers, an ever-improving experience while using the site. Get more unique promotions exclusively for Money Transfer Comparison readers.. Comments are blocked on this page. If you want to reach us, use the inquiry form located on our About Us page. Thank you. After using HiFx for a number of years, I wanted to check whether there was a better option. I live in Thailand and relatively few companies will allow me to register with them. Fortunately, Currencies Direct is one of them. They charge no commission on any amount, whereas HiFx charge $9 on amounts less than $3000. The amount was transferred to my Thai bank within 3 days, rather than the 4 days I was accustomed to, and most importantly the conversion rate was significantly better – $25 bonus on a smallish £2000 initial deal. With the Pound suffering against the Baht, this extra sum was most welcome. Another feature is that for the amounts I will be transferring for the time being, the rate did not seem to vary according to the size of the deal. Opening the account was easy, after a few understandable security questions. One general point – I wish companies would clearly state the countries they will accept their clients living in, on the websites. So, Currencies Direct definitely meets my needs and I look forward to a long relationship with them. Highly recommended. Thank you for your valuable feedback and we are glad you are satisfied with our recommendations.